Assistance upon arrival at Delhi Airport and transfer to Hotel. 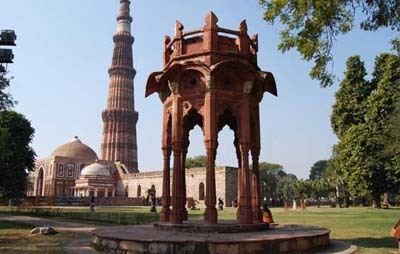 Delhi: The capital city of Independent India is often the starting point of a visit to India. Like Rome it is an eternal city and is a name with music in it for most of the people. Red Fort, Jama Masjid, Chandni Chowk, Rajghat, India Gate , Humayun's Tomb, Qutab Minar ,Iron Pillar. A drive through the Diplomatic Enclaves to see the various High Commissions, Rashtrapati Bhawan , Central Secretariat Buildings , The Parliament House. After breakfast depart Delhi for Chandigarh arriving in Hotel. Chandigarh: Nestling at the foot to Shivalik range of hills, over an area of about 39 sq. kms. 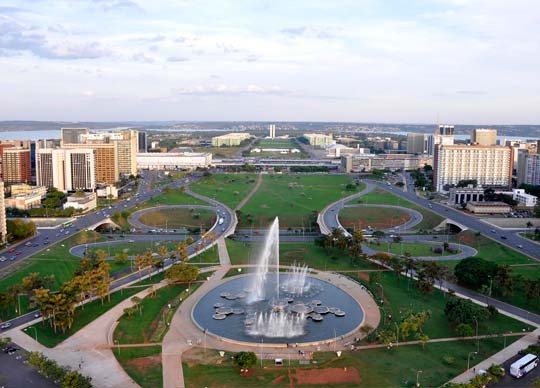 The City Centre, the University, Industrial Area and the "Leisure Valley" constitute the elegance and the compactness are the effects that the town planners have sought to achieve. In the afternoon sightseeing of Chandigarh city followed by Sukhna Lake visiting:- High Court Building, Secretariat, Vidhan Sabha, Gandhi Bhawan, Museum And Rock Gardens. The Legislative Assembly (Vidhan Sabha) :The Legislative Assembly at the south-eastern end of the Capitol piazza is the most arresting of them all. It stands facing the High Court, with an imposing portico that has a cubist mural painted by Le Corbusier himself. The High Court :The High Court was one of the first architectural monuments to be built in the Capitol Complex. Its extraordinary parasol-like roof floating over the building with a magnificent outward sweep, conveys symbolically that the law is an "umbrella of shelter" for the ordinary citizen. The Secretariat:The Secretariat is the largest of these edifices in the Capitol Complex. It is a huge multi-storeyed linear slab-like structure, intended as a work place for 4000 people. 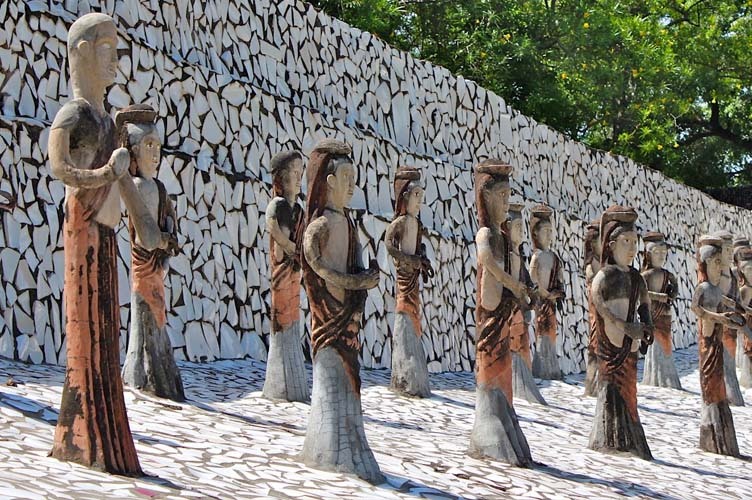 The long line of identical sun breakers is broken by introducing varied heights and projections, together with a roof containing towers, funnels, pavilions and a cafetaria jutting out like an art object placed on a pedestal. City Museum The creation of the City museum Chandigarh is one of the several activities pursued by the UT Administration during the fiftieth anniversary of India's independence. The objective was to document and display the sequential planning that went into this unique urban experiment, and to bring out the distinctive and significant aspects of its lay-out and design. The Rock Garden An unpretentious entrance leads to a magnificent, almot surrealist arrangement of rock fossils, broken chinaware, discarded fluorescent tubes, broken and cast away glass bangles, building waste, coal and clay – all juxtaposed to create a dream folk world of palaces, soldiers, monkeys, village life, women and temples. In the evening visit Sukhana Lake where you can have a boat ride. The Sukhna Lake Open all days .This 3-square-kilometre rain fed lake was created in 1958 by damming the Sukhna Choe, a seasonal stream coming down from the Shivalik Hills. The roof of the 'bund' or dam, elegantly landscaped has become a favourite promenade. After breakfast depart Chandigarh for Amritsar in Hotel. Amritsar: The home of the world famous Golden Temple, 450 years old city of Amritsar and the most important seat of Sikh history and culture, situated on north western borders of the country. 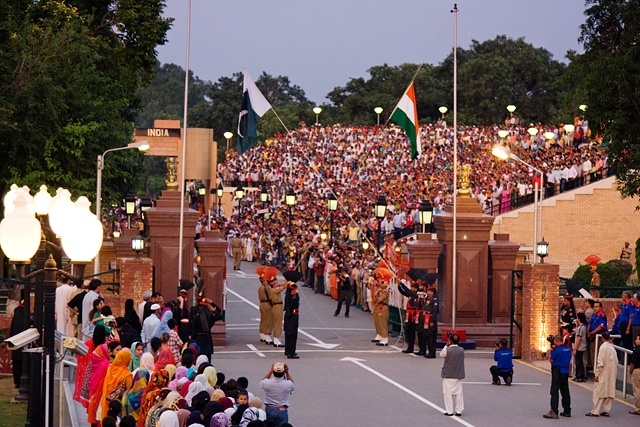 Amritsar is the Gateway to India for travellers coming the overland route through Pakistan. It is founded in 1579 by Guru Ram Das, the fourth Guru of the Sikh faith. He constructed a pool on a land gifted by Mughal Emperor Akbar and called it 'Amritsar', the Pool of Nectar, giving the city its name. One of the world's oddest spectator activities, this pompous display of military bravado is a major drawing card for Indian tourists who travel long distances to watch the "Retreat," a high-kicking, toe-stepping, quick-marching ceremony wherein the Indian and Pakistani flags are lowered on either side of the only border that remains open between the two more-often-than-not hostile countries. After visiting Wagah Border return to Hotel. After dinner visit Golden Temple to witness closing ceremony of Granth Sahib, Sikh holy book being carried to its night lodging by a palanquin. The Golden Temple: A glittering gold and marble temple, is one of the holiest Sikh shrines. Within the temple interiors are elaborately worked with fine inlay work done with semi-precious stones. During Maharaja Ranjit Singh's reign the lower half of the temple was decorated with marble while the entire upper half was inlaid with copper covered over by gold plate. Hence its new name Golden Temple. Free kitchen and recitation of the divine word never cease here. Its four gates invite everyone from all directions. The Akal Takht, next to the Golden Temple, is the seat of the Shiromani Gurudwara Prabandhak Committee, the religious governing body of the Sikhs. 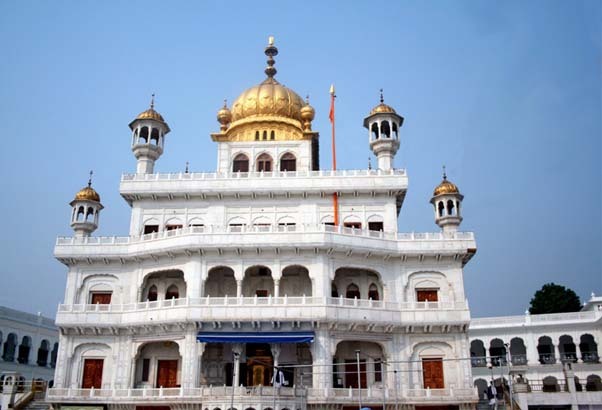 The building of the Akal Takht was begun by Guru Arjan Dev and completed in 1609 by Guru Hargobind. The Adi Granth is housed in the ground floor of the Akal Takht and is taken out in procession every morning to be placed at the Harmandir Sahib. Again at night, it is brought back to the Akal Takht. 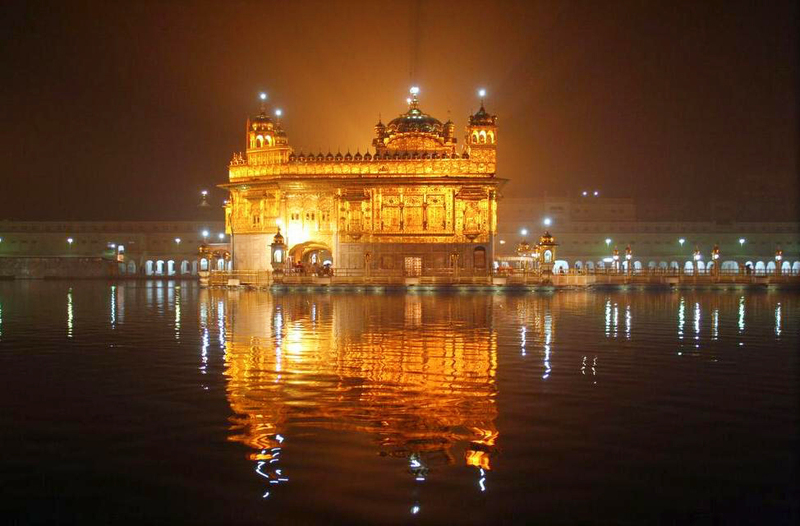 The Golden Temple: A glittering gold and marble temple, is one of the holiest Sikh shrines. Within the temple interiors are elaborately worked with fine inlay work done with semi-precious stones. During Maharaja Ranjit Singh's reign the lower half of the temple was decorated with marble while the entire upper half was inlaid with copper covered over by gold plate. Hence its new name. Golden Temple. Free kitchen and recitation of the divine word never cease here. Its four gates invite everyone from all directions. Akal Takhat: Sixth Guru Sri Har Gobind had got it constructed a a seat of temperal authority symbolising the unity of spritual and temporal life. 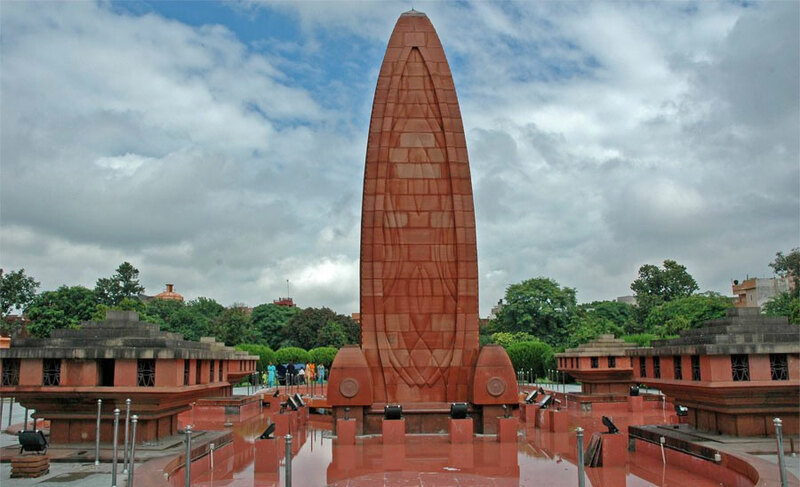 Jallianwala Bagh : Away from the bustling markets, is a spot that marks grim memories of India's struggle for independence. The Jallianwala Bagh, about 400 metres north of the Golden Temple, is a small stretch of plain ground now converted into a park. Durgiana Temple Punjab is a land blessed by saints, an ancient land yielding archaeological treasures, a land of palaces and temples. Situated outside the Lohgarh Gate, Durgiana Temple is built after the design of the Golden Temple and attracts sages and scholars in Hindu scriptures from all over India. A walk away from the Golden temple complex through the narrow passageways brings the visitors to the 16th century Hindu temple of Durgiana. Also called the Lakshmi Narayan Temple, it is dedicated to goddess Durga and a large part of the temple is also dedicated to Hindu deities Laxmi, The Goddess of wealth and Narayan, The Preserver of Universe. All dignitaries visiting Golden Temple make it a point to visit Durgiana Temple also. After sightseeing depart Amritsar for Delhi arriving in Hotel late in the evening. Day 6 Transfer to Airport for flight back home.